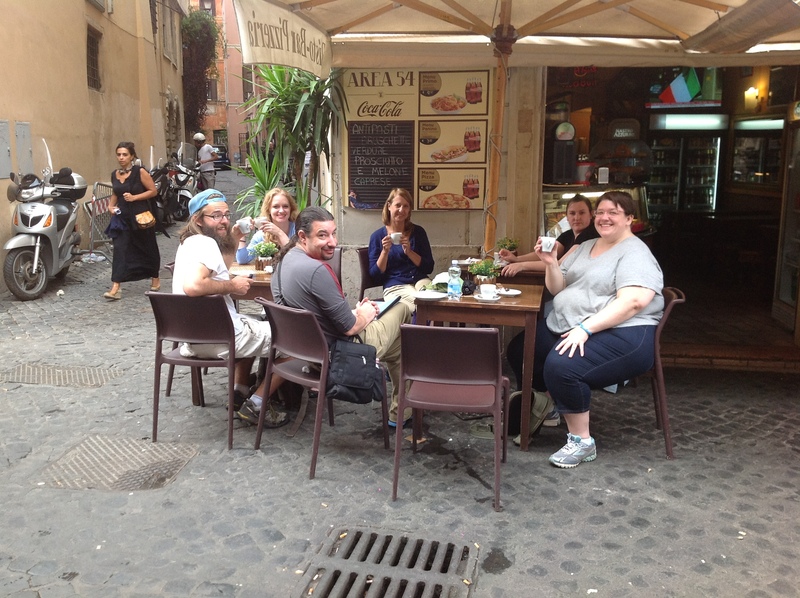 Our trip to Rome is a study abroad–an extended time in a foreign culture that includes study and class time. 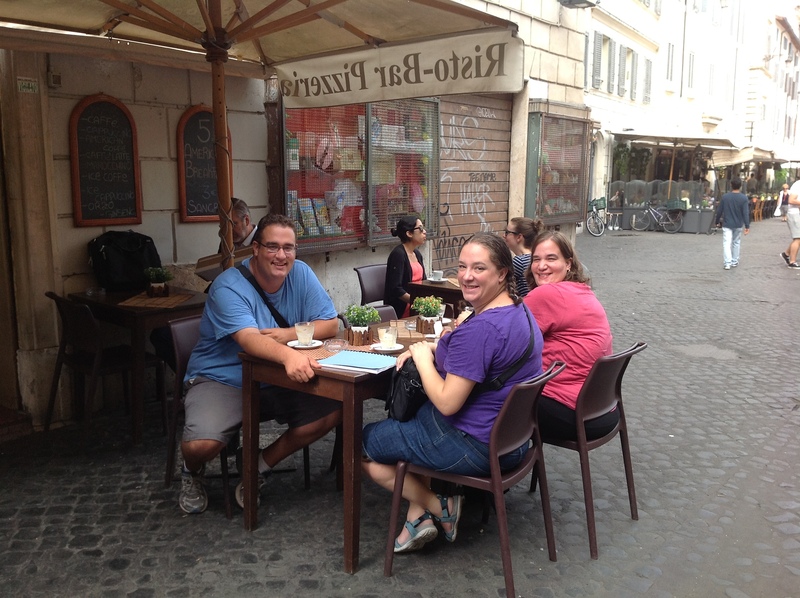 We meet three mornings a week at the University of Washington Rome Center, tucked into a corner of the Campo de’ Fiori. We walk up to the 3rd floor (which in the U.S. we would call the 4th floor) on beautiful marble steps , pause to look out at the view, then use the key to open the heavy door (negotiating the polar strictures to be sure to close the door for security reasons but not to slam it!). Wretched in nonexistence . . . But (I must believe) it was already written in the book of fate that this great city of ours should arise and the first steps be taken to the founding of the mightiest empire the world has known–next to God’s. try me–read my book, and results are guaranteed! The power of Nature is clearly proved and is shown to be what we call God . . .
We read together a section from Virgil’s Aeneid, the foundational epic of Rome, in which “duty-bound” Aeneas broke the heart of “excellent” Dido, Queen of Carthage. He had Rome to found, after all. Today, class began either early or late, depending on how you look at it. Carrie instructed me in the ways of cappuccino–it’s true: I never drank a cappuc cino before! So class began at the café at the corner; then . . . continued a little past our usual start time. 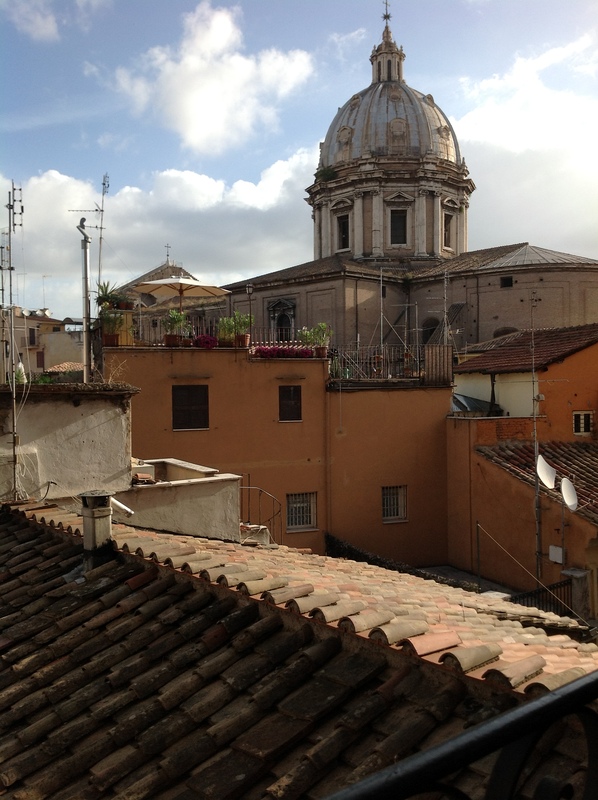 Gallery | This entry was posted in Uncategorized and tagged EternalCityMu2013, Meg Roland, Rome, Rome Study Abroad, University of Washington Rome Center. Bookmark the permalink.